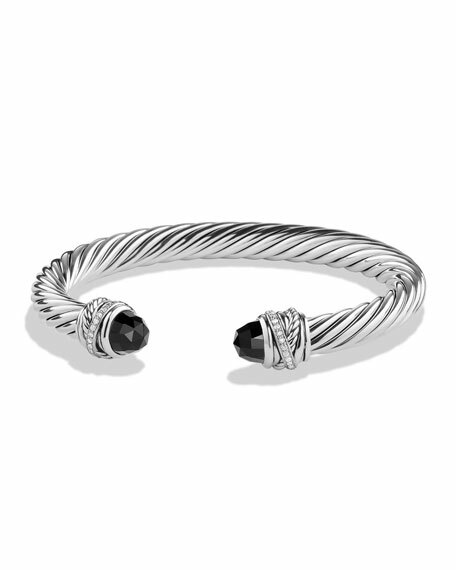 David Yurman bracelet from the Crossover Collection. 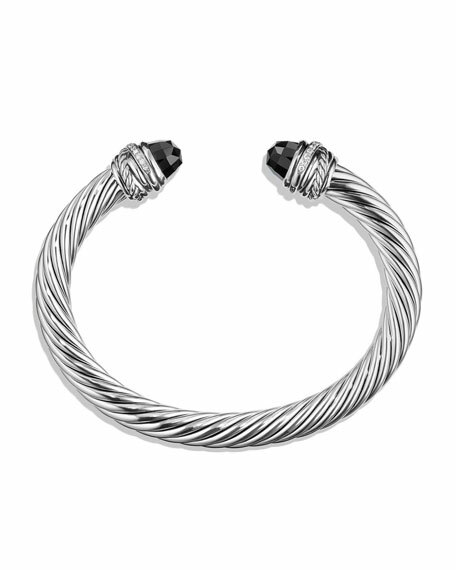 Twisted sterling silver cuff, 7mm. Faceted black onyx end caps. Pavé white diamond wrap details. Split front eases slip-on style. For in-store inquiries, use sku #2071192.